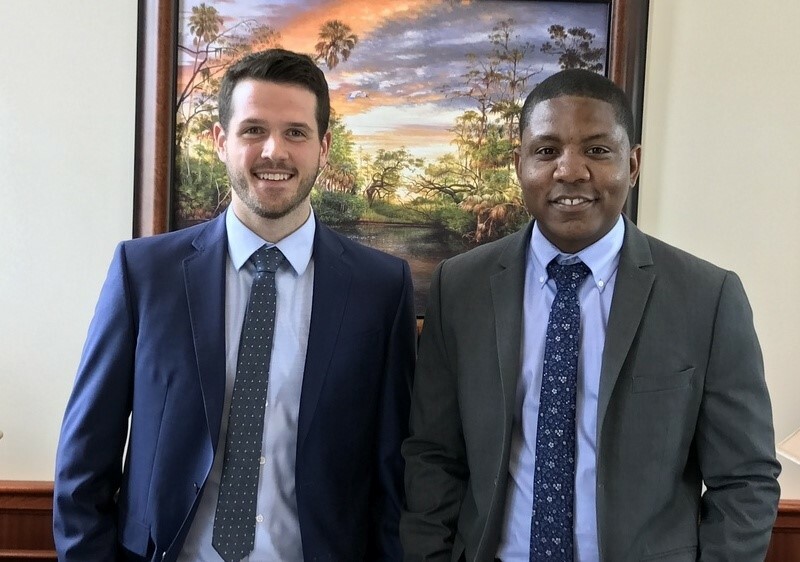 Bush Ross is pleased to welcome two summer associates, Ian Stanley and Rontavian Mack. Mr. Stanley received his B.S. in Business Economics from the University of South Florida and is expected to obtain his J.D. from the University of Notre Dame in May 2018. Last summer he was the Judicial Intern to the Honorable Justice Allison Eid of the Colorado Supreme Court. Mr. Mack received his B.A. in Political Science from the University of Central Florida and is expected to obtain his J.D. from the University of Florida Levin College of Law in May 2018. Mr. Mack previously served as an intern with Smith & Stallworth Attorneys at Law. The Summer Associate Program at Bush Ross is designed to provide exceptional students from top-ranked law schools across the country with an accurate and complete picture of what it is like to practice law at Bush Ross.